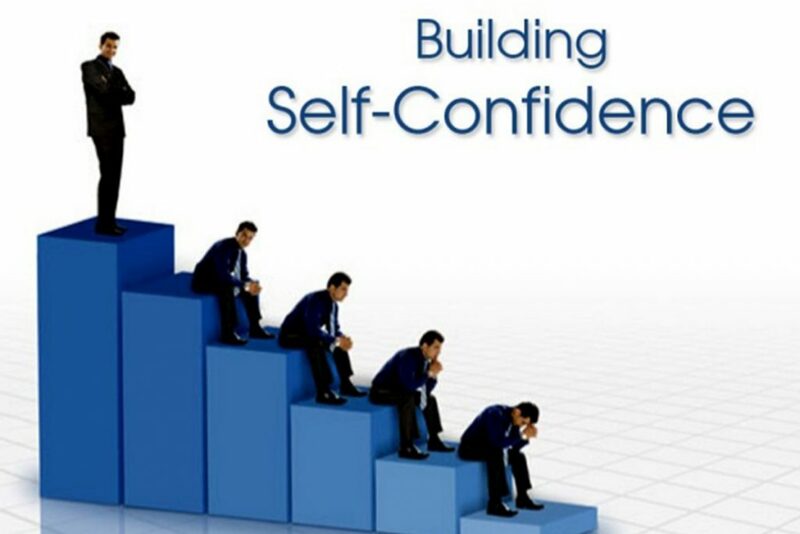 The concept of self-confidence is commonly used as self-assurance in one’s personal judgment, ability, power, etc. One increases self-confidence from experiences of having mastered particular activities. It is a positive belief that in the future one can generally accomplish what one wishes to do. Self-confidence is not the same as self-esteem, which is an evaluation of one’s own worth, whereas self-confidence is more specifically trust in one’s ability to achieve some goal, which one meta-analysis suggested is similar to generalization of self-efficacy. Do you know why you are so terrified of job interviews? How many times have you tried to speak before an audience and failed? Do you know why you don’t get an applause after your class presentation? Well, We all know why! It’s because you lack self –confidence. There are number of ways to spike up your self-confidence but practicing powerful, positive body language is the best way to do it. When you practice powerful and positive body language you’re sending message to your brain to reinforce positive and confident feelings. A ‘fake it till you make it’ approach can actually generate real confidence. 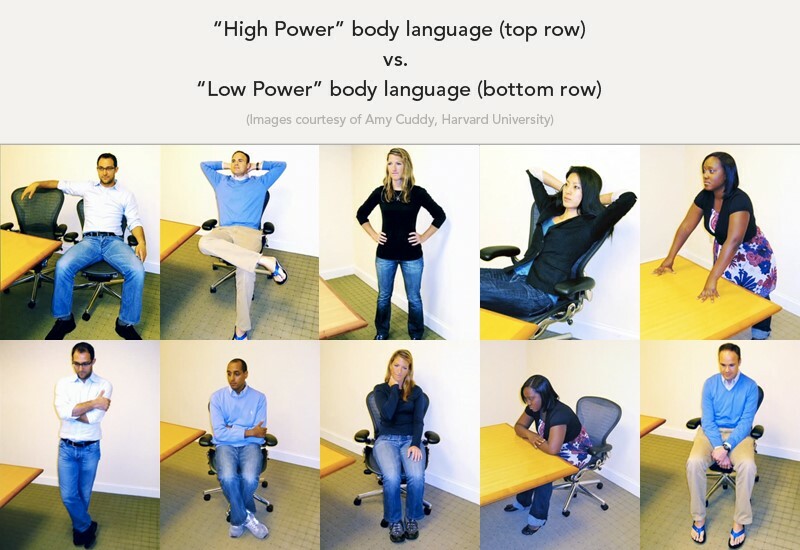 The top row shows some high power poses whereas the bottom row shows some low power poses. Now don’t be mistaken, these poses works like a preparation. Don’t do this during an event, practice before the actual event. Smiling is powerful. It makes others realize you have it good, that you are relaxed and content. Smile and let it show in your eyes. You’ll see it not only makes a big difference in how people relate to you, but it also, eventually, makes you feel that much better. Make eye contact with your counter party and hold on to it. Don’t be the first one to look away. You can practice this with random people, and you may be surprised at their reaction when you get the nerve just to look them in the eyes. It will transmit confidence and interest. Compulsively moving your foot or nodding as someone else is talking transmits a lack of calm. To develop your self-confidence, you’ll need to be aware of your body and keep calm. If you feel yourself start to fidget, take a deep breath, disconnect for a moment and count from 1 to 3. Then release your breath and return to reality in control of your body. A firm, sold handshake is a universal sign of confidence. A handshake should be strong, but not crushing, offered with a cool dry hand and a few up and down shakes, as well as a few seconds of eye contact. It is a sign of mutual respect from both parties and makes a great first impression. Whether or not you feel confident, a firm handshake will boost your feelings and make others see you as more confident. When you are talking to another person, listen to them intently, don’t cut them off and don’t start talking immediately after they are done. Take 3 seconds to process the information, and then formulate a response that is quiet and shows that you really listened. Use specific details if possible. The time you take to think and process what the other person said would make you look more confident, wiser and kinder. Remember, fools shout and cut others off, while strong, confident people take the time to listen and formulate a relevant response to what was said. Continuing from our last point, try to get people to talk. Don’t cut them off at the middle. Many of us are used just to listen to the gist of what people are saying while waiting to give our own input. But being cut off is annoying, insulting and sometimes hurtful. People love being listened to, and once you do you’ll discover there is always an advantage to knowing more about the person than they know about you. It’s amazing how much we get judged on visuals alone. You can take great advantage of that fact by being always well dressed. Get an honest friend to tell you what looks good on you and what does not. Find a balance between comfort and a great look. Physical activity is a huge source of self-confidence. Research has demonstrated that there is a direct link between sports and chemicals being released in the brain to cause euphoria. Physical activity will also improve your looks, which will also add to your self-confidence. And don’t forget, just proving to ourselves what our bodies can do is a great boost to our confidence. Do any kind of physical activity for a better overall feeling and a great boost in self pride and respect. Lastly to boost your self-confidence always remember that mistakes are inevitable. Nobody is perfect, so don’t try to perfect try to be yourself.